Spokesman for the Iranian administration expressed the cabinet’s determination to relieve the pains of those who lost their loved ones in a fatal crush of pilgrims in Saudi Arabia during last year’s Hajj. 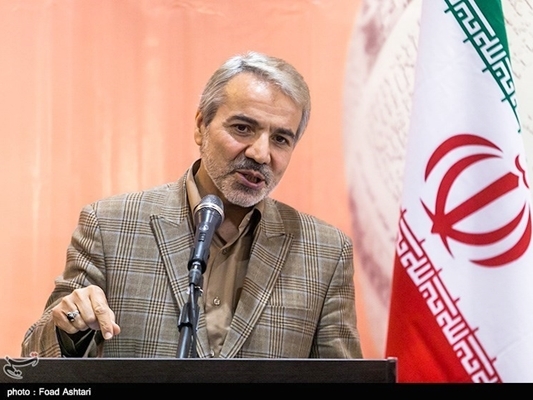 Speaking at a weekly press conference in Tehran on Tuesday, Mohammad Baqer Nobakht said the administration has ordered the Foundation of Martyrs and Veterans Affairs to do whatever necessary to satisfy the families of the Mina tragedy victims. He also voiced the Management and Planning Organization’s readiness to provide the budget and resources needed to handle the issue. Nobakht also underlined that Iran has taken any possible measure to deal with the Mina case in spite of Saudi Arabia’s move to sever diplomatic ties with Iran. Last week, President Hassan Rouhani also emphasized that his administration will press ahead with legal and political measures to restore the country’s rights in connection with the fatal crush of Hajj pilgrims. The government will not forget about the blood of the Iranian martyrs shed in Mina, the president said, stressing that legal and political steps will continue to be taken on the matter. During last year’s Hajj in Saudi Arabia, 7,000 pilgrims were killed, 477 of whom were Iranians. 12 Iranians were killed in a crane collapse in Mecca, while 465 others lost their lives in Mina.